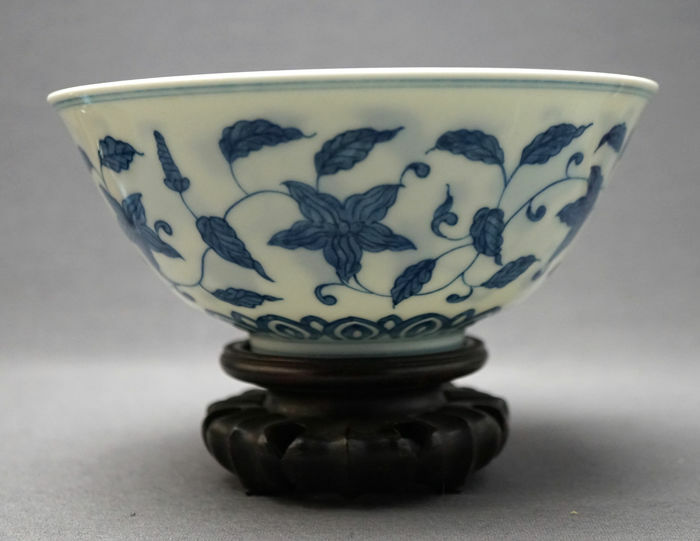 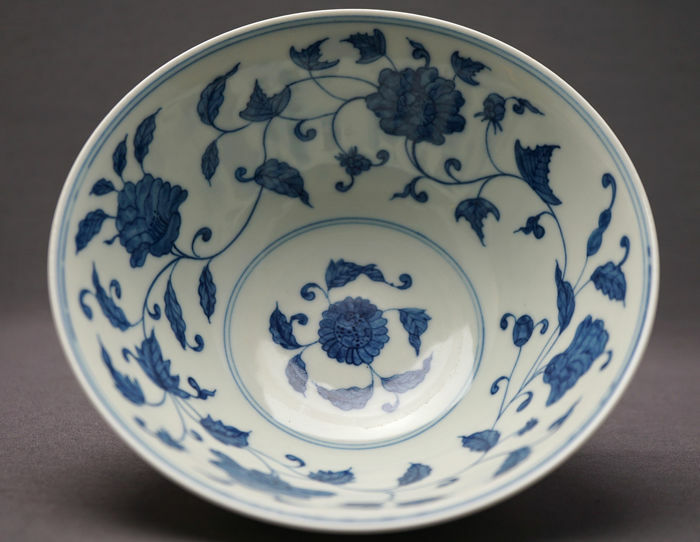 A lovely palace bowl with decoration of lotus flowers on the inside and outside. 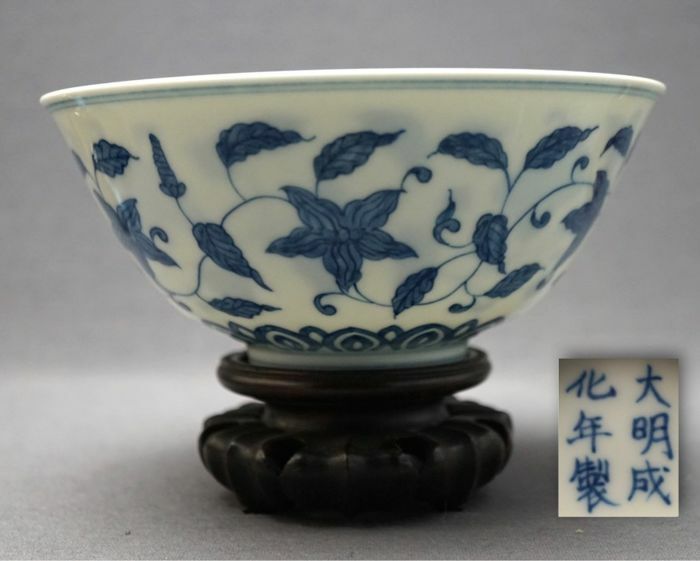 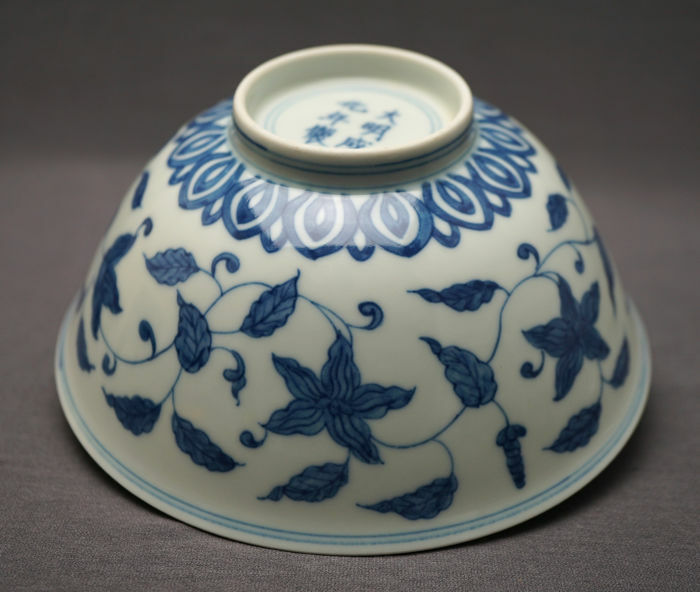 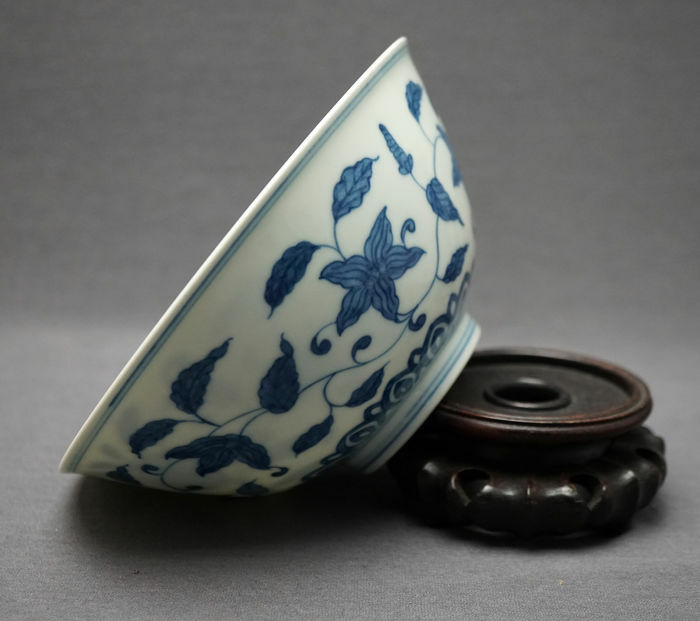 On the bottom marked Chenghua in a nice underglaze blue. 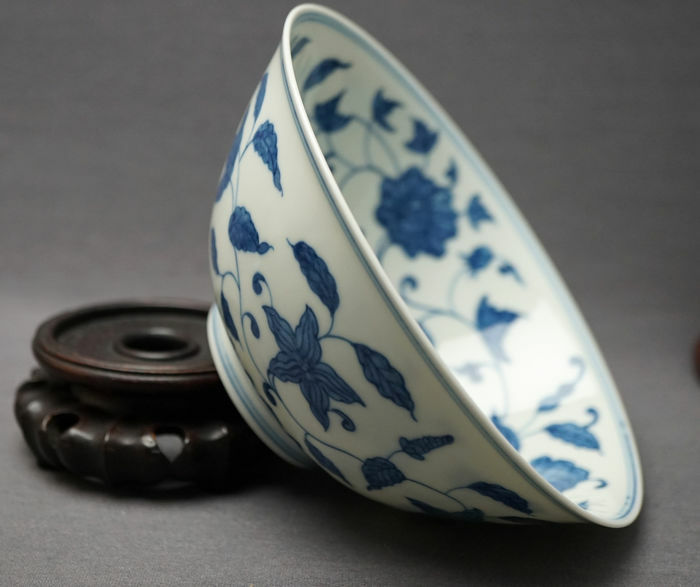 Condition: This object is in absolute mint condition with some minor wear, without any damages or restorations. 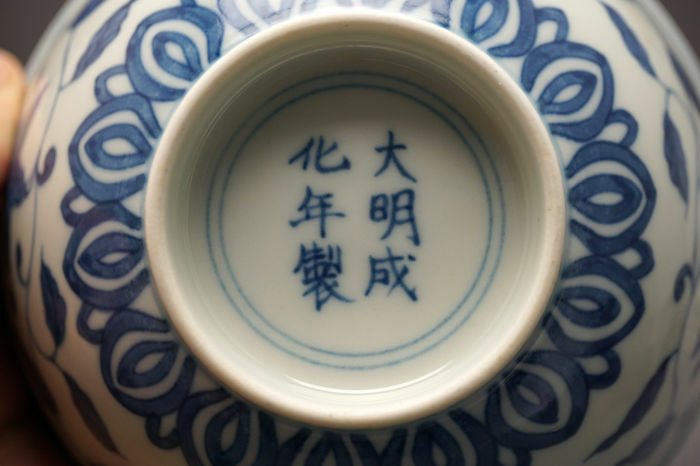 The condition is checked with strong UV-light and bright translucent white light.